Take a photo, get a waffle. 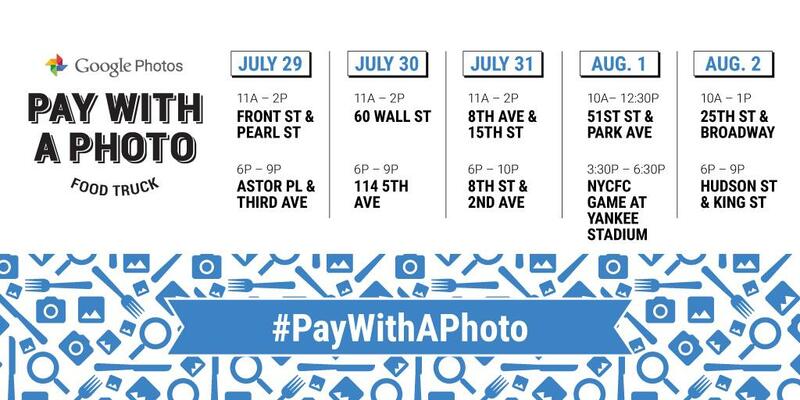 Google photos, the photo-sharing service Google launched in May, are deploying food trucks in NYC to market and fine tune their technology… You can #paywithaphoto to get a waffle! 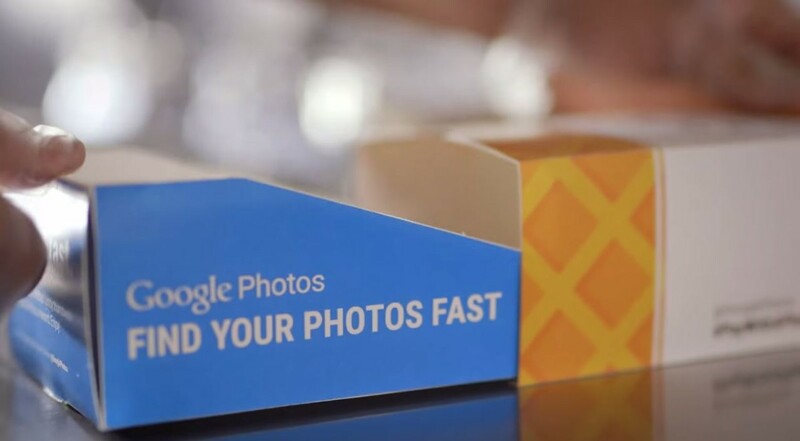 Google Photos tweeted that they have something very special cooking in NYC, “Wafels, not waffles.” They partnered with Wafels & Dinges– a popular New York City food truck chain specializing in Belgian Waffels. 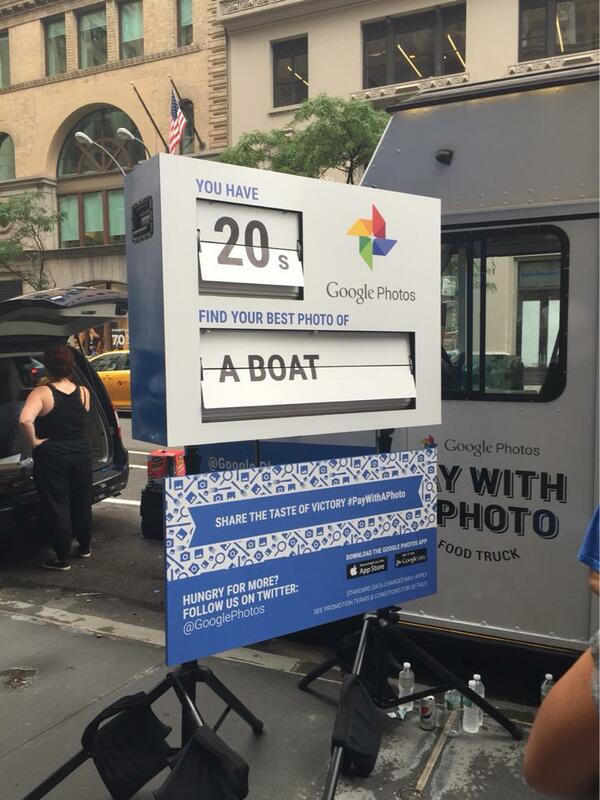 By using food trucks, Google Photos is getting the opportunity to demo their products to people who wouldn’t necessarily have known about it. The article says food trucks always get people’s attention, so what better way to lure them in and say try our product and get some free food. Who doesn’t love food trucks? and more importantly who doesn’t love waffles? and even more importantly who doesn’t love to get them practically for free! A pretty fun marketing plan for the summer. Last summer Procter and Gamble’s Always created a “Like a Girl” ad where a diverse group of girls and young women were asked what it means to do something “like a girl.” The feminine products brand took this phrase and changed it to be an expression of strength, and it got a slot in the Super Bowl. This next phase similarly features a group of girls and young women who instead talk about limitations as a result of social norms. They then kick and stand on cardboard boxes with the limitations and stereotypes written on them, symbolizing their strength against the restrictions they face as girls. The video also includes statistics about girl’s confidence and how they view societies standards. With over 25.4 million viewers on Fox watching the Women’s World Cup final this past Sunday (a record for any soccer game– men’s or women’s), and Facebook now making men and women equal in their new Friends icon, it is clear that now is a time where women’s empowerment and the ability for us to be seen as equals is prevalent in our society. I think this ad will resonate well viewers and stir up some emotions with their powerful message about confidence and power. Whether you are on a college campus or on the streets of NYC, when walking home alone after a night out we must all take extra safety precautions to keep ourselves out of harms way. 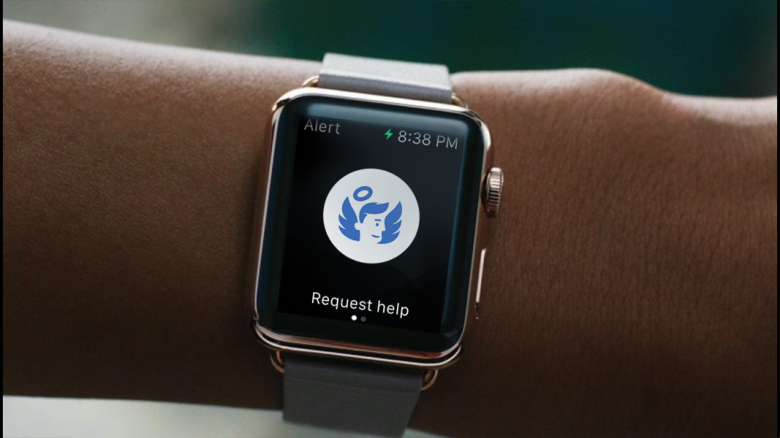 It has been shown recently that sexual violence on campus has reached all-time high levels, so in response to this epidemic, a new app called MrGabriel has been developed bringing safety to its users by using wearable sensor technology with machine learning and real-time data. When wearing or using the Apple Watch or iPhone, MrGabriel monitors all sudden moves or change of pace that could be interpreted as signs of danger. 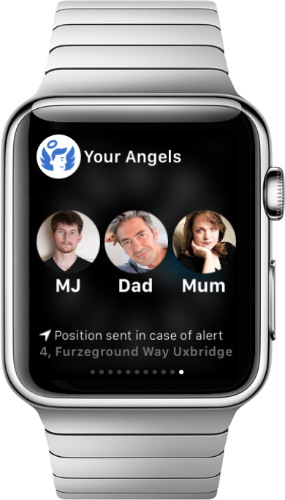 If these seem irregular, the app sends a user message asking if they are OK and if they do not respond or dismiss the message, that triggers an alert in the form of an SMS to the three of the users chosen friends or family members called “angels.” The SMS (chosen because it has the strongest signal instead of internet connection) relays the message that their friend needs help, and provides them with their exact location, time of the alert and the user’s phone number to call immediately. The location is updated every 10 seconds or every yard until the user cancels the alert from the device. Instead of calling 911 immediately, friends/family were chosen to be the point of contact in case there are errors or accidental dismissals of the confirmation screen. There have been other apps similar to this,like Guardian and Stiletto, but they all focus on manual activation which isn’t as effective when someone is in real danger. MrGabriel focuses on sensors and artificial intelligence to determine changes in behavior that trigger an alert as opposed to manual activation, making it much more practical and useful. With the technology we have it is important that we do everything we can do keep ourselves, family and friends safe. I think this could help keep people more safe and prevent more tragedies from occurring. Read more about MrGabriel here. What started out as an attempt to rethink the web browser ended up as a new app called Kite, a social network for sharing internet articles with your followers, similar to the way Instagram does with photos. This full-featured web browsers, which substitutes a social graph for the URL bar (see photo below), loads a stream of updates from people you follow who each link stories or webpages they think is worth sharing. Instead of having algorithms that tell us what to read which no one finds interesting, users want to know what interesting people like Obama are reading every day which isn’t possible right now. 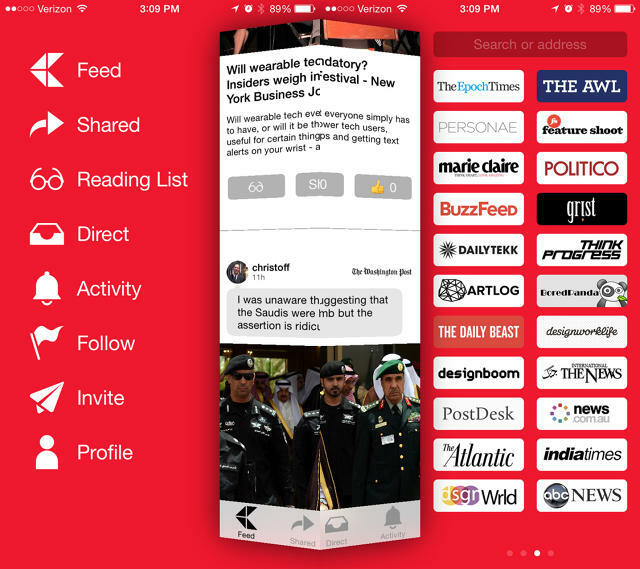 With this app, users can like the articles, save them to their reading lists for later, comment and share them, and most importantly get recommendations on what to read from those you actually care about. The creator, Trond Werner Hansen, thought that a mobile browser needs to have a greater purpose than serving as a generic window into the web. So he created this app which is a browser that you navigate by way of social recommendations instead of through search results and URLs. What makes Kite different than Chrome and Safari is that it is designed exclusively for reading and sharing, so no matter where you are you can save the page you are reading for later, post it to your stream, or favorite its parent site so you can more easily read its content. It also cooperates with other social networks like Facebook, Twitter, LinkedIn so you can share what you are reading there but it can also be self contained if you want. Closed publishing platforms like Flipboard, Apple News, or Facebook instant articles have been around for a while but don’t always keep readers and users hooked on them as something that has a social component to it. Maybe when a browser is disguised as a social network that allows you to see and share what friends, political figures, or celebrities are reading it will change the way we read our daily intake of articles and news. As the article says, social networks are only as good as the strength of the community of people already trying it– so they need to build it up to what it could be. <Maybe an app like this could be of use for our hot sauce group to share our articles with each other. Read more about Kite here.